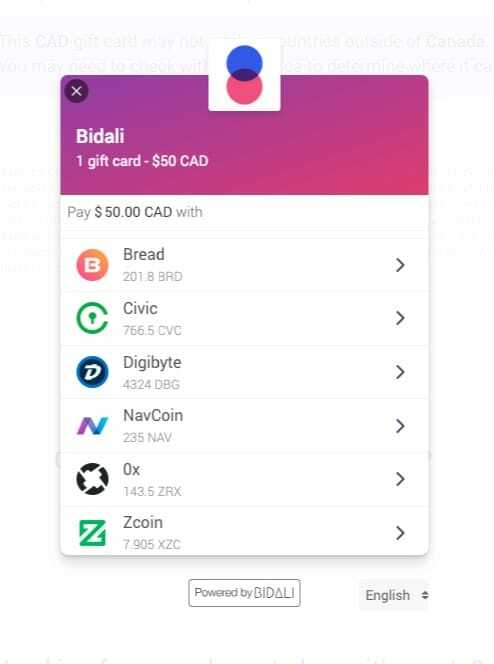 We're super pumped to announce that we added support for DigiByte (DGB) as a payment method on our payments platform and our gift card service. 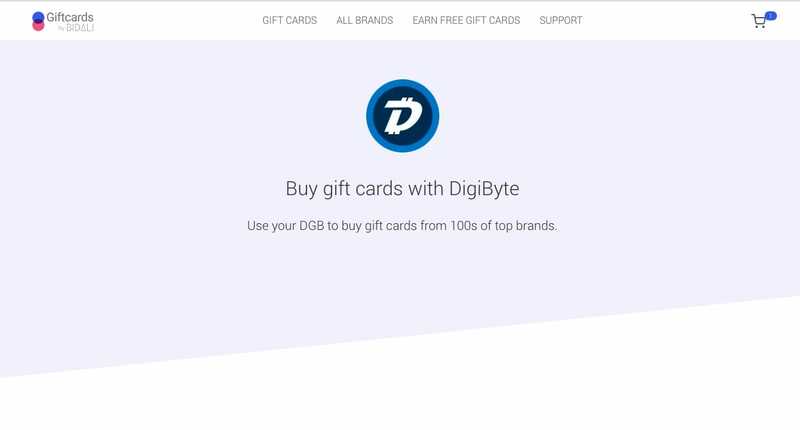 Starting today DigiByte supporters can buy gift cards with DGB from over 150 top brands like Amazon, Walmart & Uber through our gift card platform. This allows DGB holders to easily buy high quality goods and services and realize the value of their cryptocurrency today without having to wait for these big brands to adopt crypto-payments. We've been very impressed with the DigiByte project and it's community. It has been one of the longest running successful projects in the cryptocurrency space. On top of that, being a volunteer led organization and a protocol that utilizes 5 different rotating proof of work algorithms, it's not only cheaper and faster than Bitcoin and Litecoin it's also more resistent to centralized mining - a critical component to increasing network security and resiliency. At Bidali, we're very excited to see how the project matures and are happy to play a small role in that. In addition to being able to buy gift cards with DigiByte, now any online merchant will be able to utilize our online payment and accounting software to accept DigiByte with ease. Online retailers that accept DGB through our payment gateway will also have the option of being paid out in local currency including USD, CAD, Euro, and GBP and having their taxes and conversion rates automatically calculated. With it's fast transaction times, low costs, and ASIC resistance this now makes DigiByte a viable payment/donation option for many organizations. Stay tuned for more big announcements! Bidali enables merchants to sell products and services to anyone in the world for a fraction of the cost - without chargebacks, tax headaches, high exchange fees, and volatility risk. Now your customer base is only limited to where you can ship. If you want to give your customers the option to pay using next generation payment methods in your mobile app or website you can sign up here.